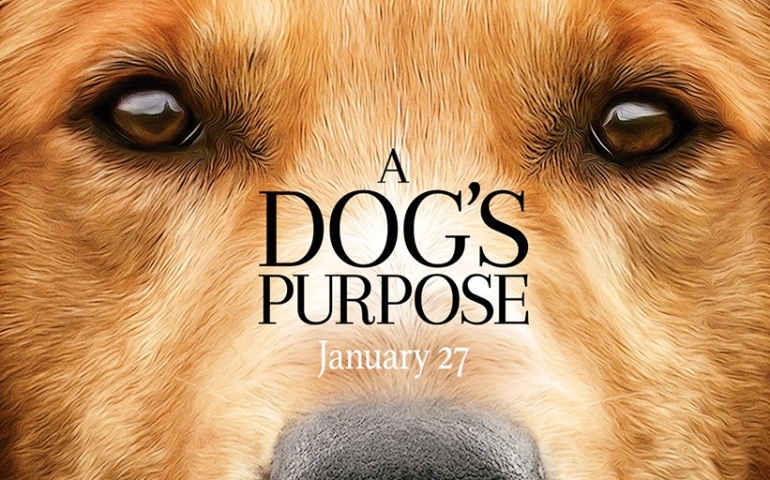 The movie “A Dog’s Purpose,” based on W. Bruce Cameron’s 2010 novel, smashed the box office on January 27 as it made 23.4 million USD. This PG-rated film is definitely a feel good movie, with positive messages and role models, for the whole family to watch. It is the story of a dog that goes through several lives with different humans only to circle back to the original owner. The dog starts out as a puppy, voiced by Josh Gad, being picked up by animal control. He is a golden retriever named Bailey and is adopted by a young boy named Ethan (Bryce Gheisar) and his mother (Juliet Rylance). Bailey and Ethan grow to be the best of friends. Bailey walks alongside Ethan when he becomes a star football player and even helps him get his first girlfriend, Hannah (Britt Robertson). Eventually, after many years, Bailey passes away because of old age. Bailey reincarnates into a K-9 German Shepherd named Ellie and is partnered with Carlos (John Ortiz), a cop in the 1970s. The life cycle is fulfilled again and again until the 2000s. Through all the human-dog relationships, the Ethan-Bailey relationship bond was above all the others. When they find their way back to each other at the end of the movie, you will definitely find yourself wiping away some happy tears. Director Lasse Hallstrom is known for emotional tear-jerking movies, and this movie is no different. The relationship between a dog and their owner is like no other. This movie is easily relatable to all Americans because dogs are “a man’s best friend.” We have been taught that our whole lives and this movie reinforces how important that relationship really is. There are a couple of scenes demonstrating violence and alcohol, but the language is kept at a minimal amount. Also, there are scenes of people kissing but nothing more than that. Rotten Tomatoes gave it a rating of 34%, and google users gave it a 55% rating. While most are raving about the movie, others are worried about the trouble behind-the-scenes. People are talking about a video that may or may not depict on-set abuse of the animals they used. The actors and filmmakers have spoken out against these allegations claiming they are not true, but it is still causing major controversy. Overall, I would highly suggest seeing this film. The easy-going, feel-good themes are perfect for an audience of all ages.